Long Term Disability (LTD) policy holders should understand that they may be eligible to receive their benefits given that they are no longer able to preform in a “gainful” occupation to sustain their living. This can be important if policy holders are claiming their benefits due to their inability to earn enough to sustain their living needs. Oftentimes, policy holders’ occupation is considered “gainful” if they can still earn at least 60 percent of their wages before they become disabled by a medical condition. Since insurance providers define disability in terms of “own occupation” and “any occupation”, it is important for a policy holder to fully review his or her LTD policy before filing a claim. Disabled “any occupation” plan holders may be denied their benefits if their insurer concludes they are able to hold a job that will earn 60 percent of their wages before they became disabled. On the other hand, disabled “own occupation” policy holders may possibly receive benefits if they can no longer earn 60 percent of their wages in a job that matches their talents or skills when assessed by their insurer. Benefits may still be given to “own occupation” policy holders even if they can earn 60 percent of wages from doing other types of work. The wage percentage may vary in every state, another important reason for individuals to review their policies before filing a claim. 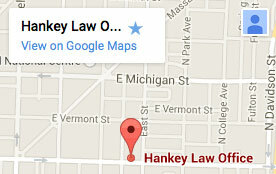 The lawyers at the Hankey Law Office in Indiana advocate for individuals who are suffering from a long-term disability. We understand that disabled individuals promptly need access to their benefits to sustain their family while recovering. If you are in such a situation, call us today at (800) 520-3633 to learn more about your options.